Ferrebeekeeper has a great love of space-themed art. 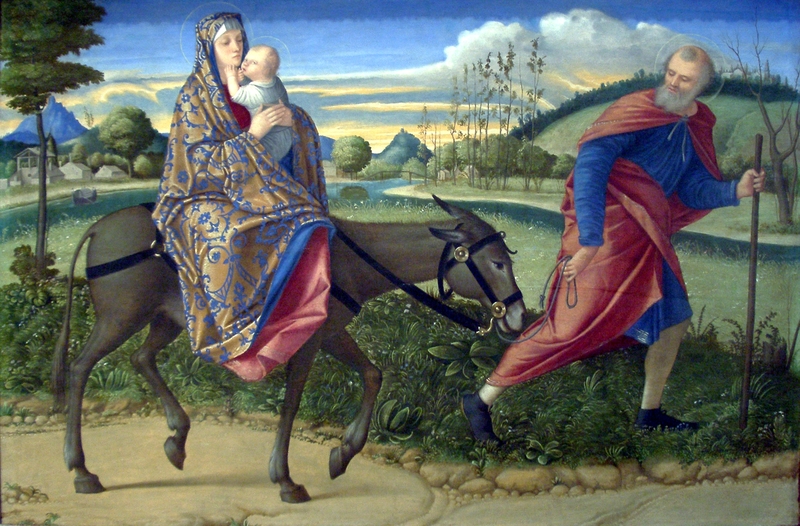 Yet the beginnings of western art as we know it today were not about space, but instead about religion. Christian iconography dominated: the heavens were not the literal heavens but instead the supernatural …uh…actually, never mind. This is a fresco by Giotto from the Arena Chapel. Giotto single-handedly reshaped the classical and medieval precepts of art (and remade our notion of visual culture). The Arena Chapel is his masterwork–a project where Byzantine opulence, Christian devotion, linear perspective, and new Italian realism converged to give birth to the European artistic tradition (although, to be sure, Western art had many grandparents…and lots of weird uncles that were an influence before–and after–Giotto). Here is the birth of art…showing the birth of Christ, and there, proudly in the center of the composition, right above Jesus and the adoring Magi, is a comet which would not look out of place in nineteen-sixties space art. 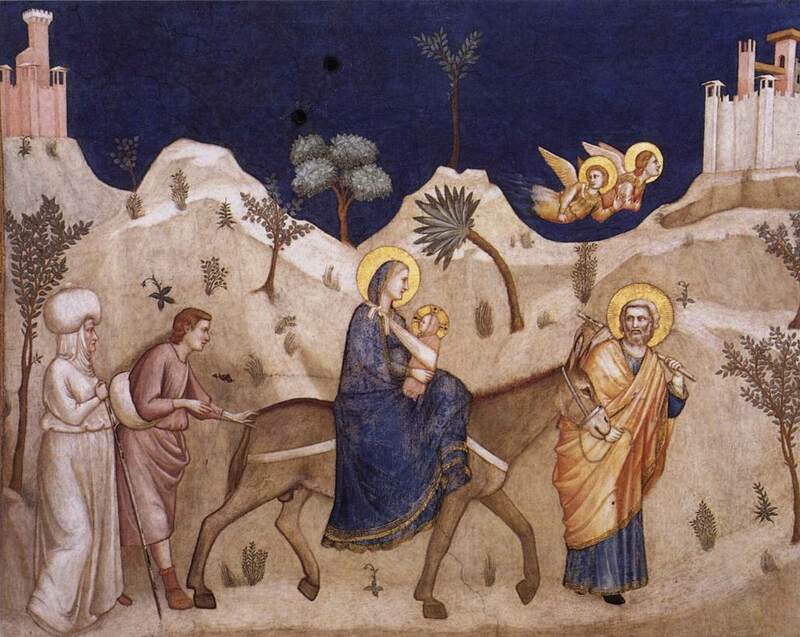 The flying ball of fire points directly into the manger where the astonished kings (and their even more astonished camels pay homage to the new-born savior who has appeared as a refugee child). It is a beautiful picture–and an unexpected appearance of outer space imagery right at the dawn of the 14th century as art began to manifest itself in familiar fashion. 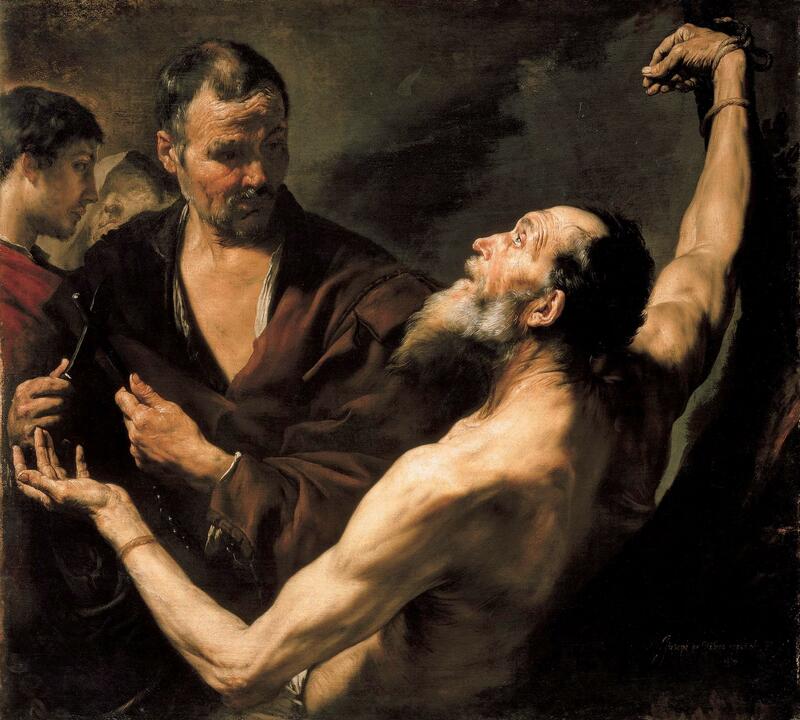 Saint Bartholomew was one of the twelve apostles of Christ… Yet, considering the exalted company he kept, we do not know very much about Bartholomew. Bartholomew means “son of the furrows” in Aramaic, which suggests he was possiblya ploughman…or at least descended from farmers (it is also funny to think that Bart Simpson’s name is originally Aramaic). 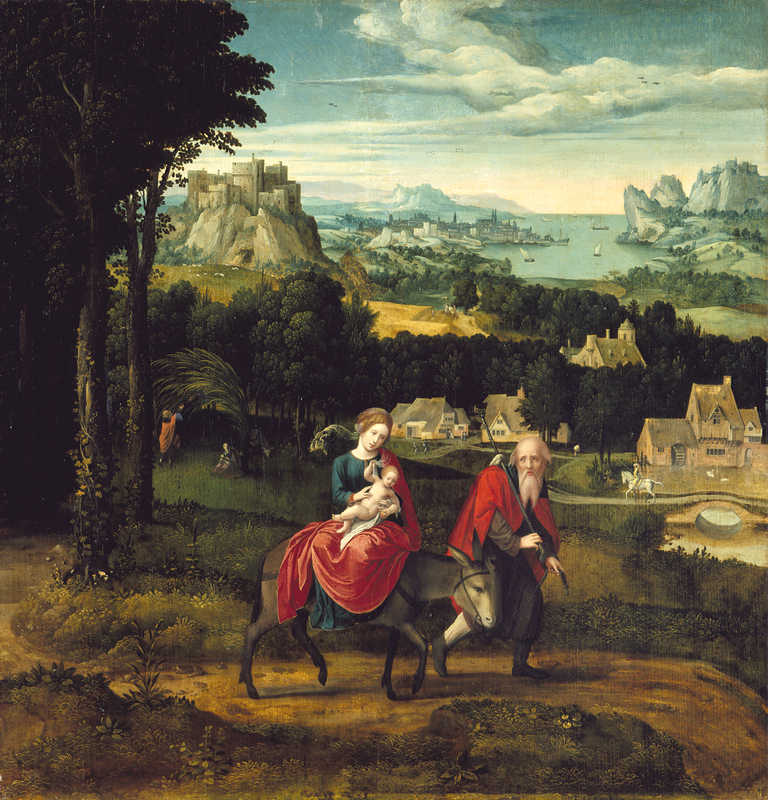 Bartholomew shows up by name in the gospels of Matthew, Mark, and Luke (the “Synoptic” gospels, which give roughly the same account of events) but he is replaced by Nathaniel in the enigmaticand iconoclastic gospel of John. 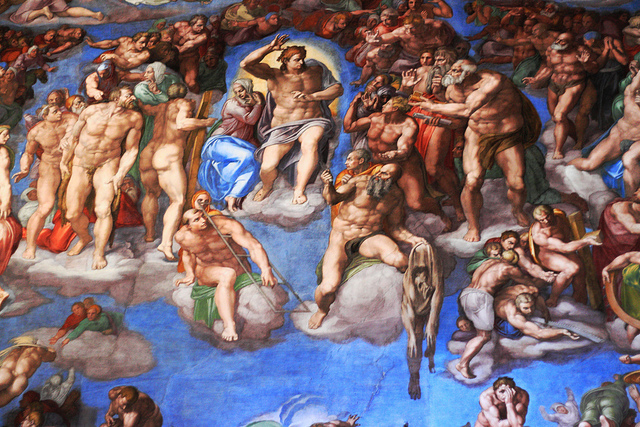 Whatever the case, sources (such as they are) place Bartholomew at the Ascension–the Greek-myth style apotheosis of Christ, when the risen savior ascended bodily into heaven to assimilate with the divine. Bartholomew’s story gets a lot more interesting thereafter. While other apostles went west and north to spread Christianity to the Roman Empire, Bartholomew headed East, right out of the boundaries of the known world. Along with Saint Thomas, he is credited with bringing Christianity to India. Along the way he is alleged (by varying sources) to have stopped to spread the faith in Mesopotamia, Parthia, and Lycaonia. However Bartholomew is most affiliated with Armenian Christianity. Along with his fellow apostle, Saint Jude, he is credited with bringing the faith to Armenia in the 1st Century and the two are the Co-founders of the Armenian Apostolic Church. 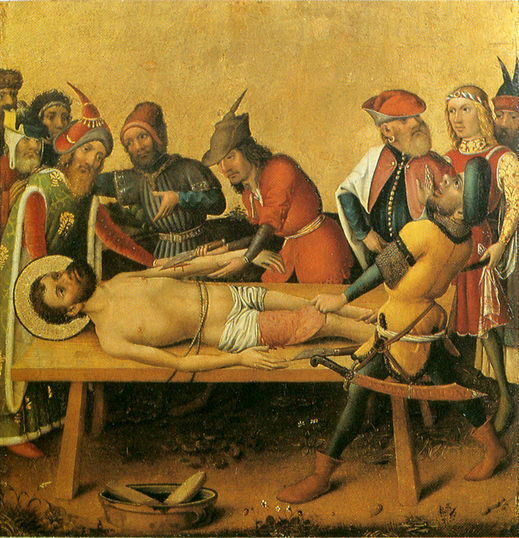 Armenia was also the site of his thrilling martyrdom. According to popular tradition,Bartholomew converted Polymius, the king of Armenia, to Christianity. This infuritated the king’s brother Astyages, a devout pagan who thought that getting rid of the proslytizer would get rid of the faith. 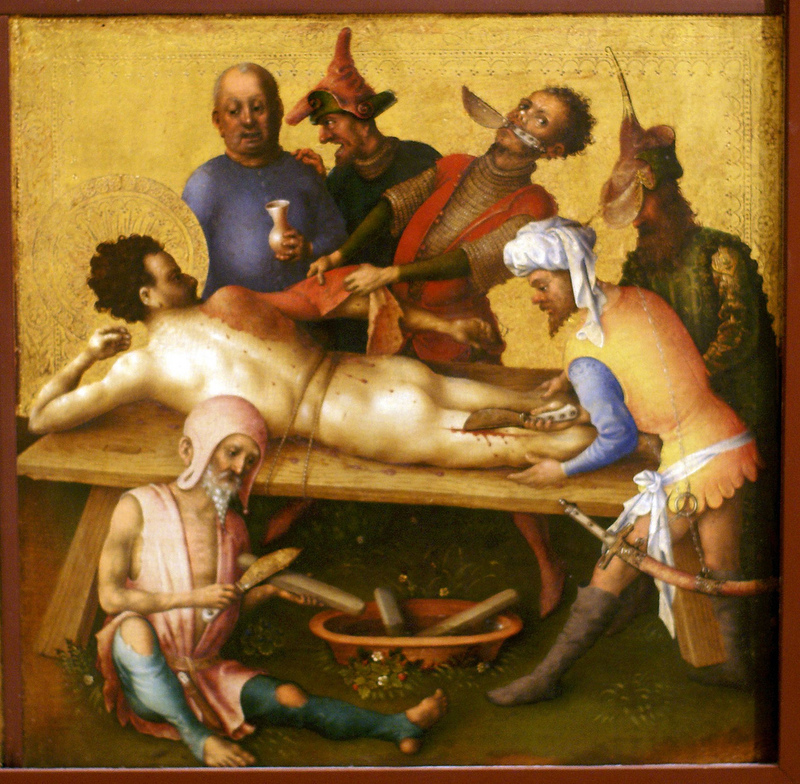 Astyages had Bartholomew seized, crucified and flayed alive–which seems like overkill. 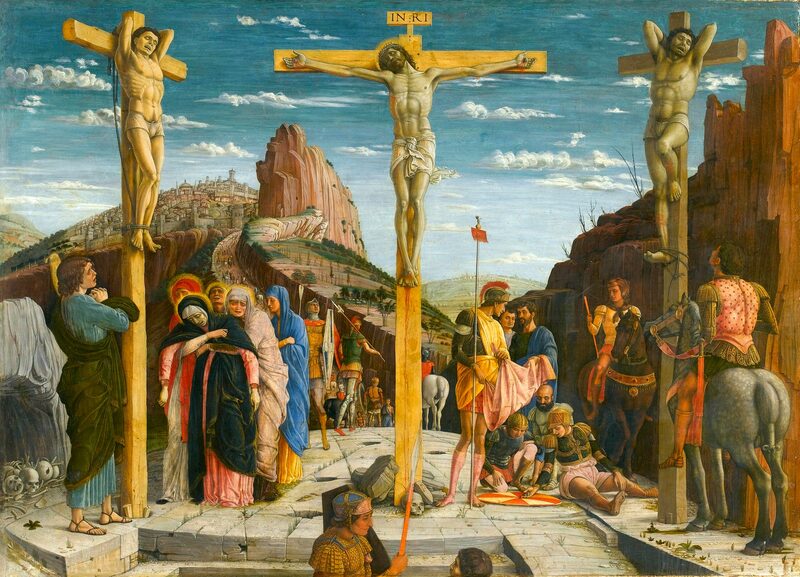 In some accounts the holy man was drowned or beheaded (maybe Astyages feared a Rasputin type situation and had Bartholomew crucified, flayed, drowned, and beheaded). Armenia is not necessarily the center of the world in contemporary times, but it was a thriving society in the early medieval world. There were huge cities filled with great cathedrals to Saint Bartholomew Whatever the case of the real Bartholomew, popular imagination seized on the flaying aspect of this tale. This death of Saint Bartholomew became favorite theme of artists Michaelangelo even painted himself as Saint Bartholomew’s nightmarish skin in the last judgement. There he is between heaven and hell in the saint’s flayed hand. Will he be cast down and discarded of ascend as a saint? Some scolars have noted a deliberate similarity between Bartholomew and the Greco-Roman demigod Hercules. Churches to the saint were often located on former sites of cult centers to the strongman. Additionally the two shared iconongraphy: Bartholomew frequently holds of wears his skin like Hercules wears the Nemean lion’s skin. There are even certainly weird parallels between the figures. Hercules transcended death through physical strength: excellence at fighting and a divine pedigree allowed him to rise to heaven. 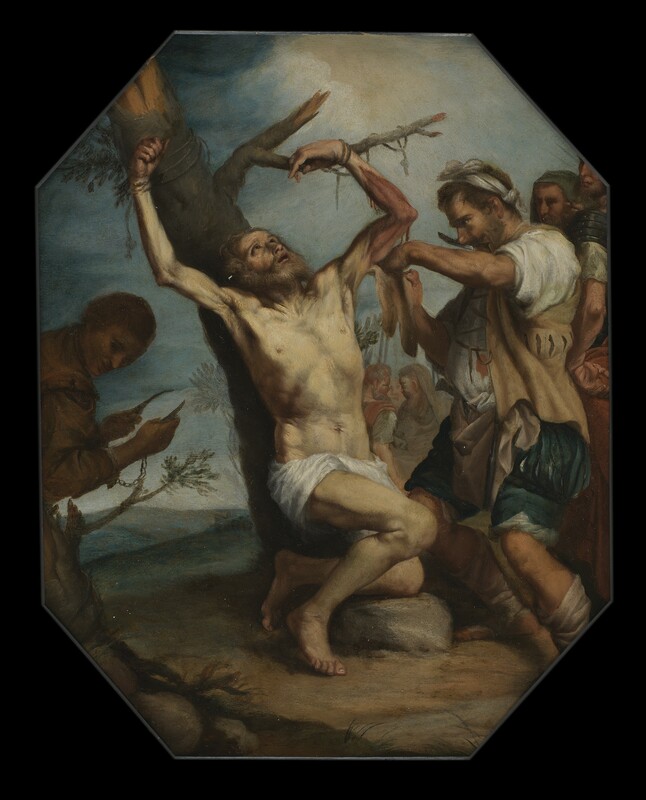 Saint Bartholomew a normal man–a farmer–transcended mortality by spiritual strength–he shrugged off the most terrible death possible and joined Jesus in heaven (and in working miracles here on Earth). Barthomew and Hercules even shared a doom caused throught the skin. Barthomew was flayed, while Hercules was poisoned intracutaneously and ripped his own skin off. It is a good theory, but it overlooks the even more straightforward Christian message of Bartholomew. He transcended his mortality through his association with Jesus. He shrugged off his human flesh and became part of the divine. The raw power of the tale is instantly recognizable in the beautiful & horrible art.